I think that it must surely be the duty of those of us who have the ability to work towards regaining some of these skills and providing more, fresher and healthier produce for those we love. Those of us lucky enough to live in a community where others can be relied on to an extent may want to work with them in a project harnessing community spirit. Unfortunately there are not many (if any) places where Odinic communities are strong or numerous enough to do this for themselves at the moment but that is an aim for the future. Although there may be hearths that are lucky enough to live close enough to one another to help with various projects and this can only be a good thing, for the most part we are quite isolated. The GM and Folk camps are good examples of these isolated projects with the self-defence lessons that have been reported in the ORB and forum delivered by good men such as Tyrsson and Reginard, individual initiatives pulling people together to learn such as the Fyrd UK training camp organised by Sigbert and the Fyrd in Vinland more than amply represented by young Gunnar, truly an inspiration to our youngsters coming up. Aside from these organised events we also have the individual projects such as Andy B’s hammer, Hengest’s allotment and Haakon’s tomatoes which unfortunately got flooded. Redwald and the OR media is out there on its own as an example of industriousness and perseverance in a medium I cannot pretend to understand. 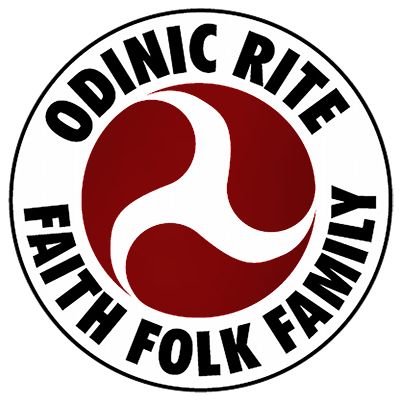 Then there are many others who have posted various things too numerous to mention along these lines, proving that the forum and the ORB are excellent resources to enable our widely spread community to work together. However this is not enough; in the spirit of providing for our own we must take the initiative before it is too late. We must teach ourselves to make butter and cheese and to grow our own veg, provide foods for our children that are as free from additives and poisons as the land they are grown in can provide. Butter made at home is fresh and tastes wonderful, the buttermilk it provides can be drunk or used to make scones, used as an ingredient in cheese-making etc. Vegetables grown in your garden are both more nutrient rich and with less additives but any waste can be composted to feed next year’s crop. For those of you lucky enough to have a little space the trimmings will feed chickens who in turn will provide eggs for the household and then when she stops good wholesome and fresh meat. Those with a little more space a pig is even better and will eat ALL kitchen waste plus any enemies of the folk, but that’s another issue and a separate article entirely! A piglet bought at weaning they say produces a £1,000 worth of meat at slaughter and whether or not this is exactly true they can certainly provide a lot of sustenance for a family for very little expenditure with the added benefit of fertilising the land they are raised on ready for the next cycle. Unfortunately our household does not have the space for chickens or pigs but we do grow a considerable number of our own vegetables and have just planted apple, pear, greengage and cherry trees as well as raspberry canes and tayberry in a surprisingly small patch of ground. If we concentrate on under sowing and making use of crops that will be able to be repeat harvested from the same plant whilst all the time planning a couple of years ahead a small plot can be surprisingly productive after all. Those of you who have a lawn, how often do you have to cut it? Wouldn’t it be better to use all that energy growing and cutting, for example, Kale, rich in iron and vitamins and a favourite with kids (mine anyway), salad leaves, land cress and many more too numerous to mention? All this combined with foraging in the relevant months means that (most of the time) I am able to put up a reasonable repast for the hearth members who come to visit for the Blots and make sure that my kids are full of vitamins and minerals rather than Monsanto barcodes and traces of chemical. Currently I am trying to teach myself how to make cheese and am in talks with various local authorities as to the provision of a community garden which is designed in phases so that we can accommodate those who wish to take part and the community as a whole can benefit from a bit of digging. You will notice that this article has deliberately stayed away from hunting and fishing as that I feel is a completely different subject although not an irrelevant one and one that will be addressed. We are not the only people thinking along these lines though and it is interesting to see how many different groups are working towards the same goal, it is in a way cause for concern, in the event of food production becoming a survival issue as to which of these groups may become hostile and a threat to our own survival. These groups, I think, we need to learn from any techniques that we can now before the groups that don’t hold the skills become expendable. There is a fairly new movement around at the moment trying to regain these skills calling itself the resurgence movement. This started around the town of Totnes in England some years ago and has subscribers from many backgrounds, unfortunately it is run by people who are heavily fluffy and universalist in their outlook but if we are selective they do have some good resources from which we can pick up techniques to feed our people and live beyond the current impending implosion that society is facing in its immediate future. If we work now for the benefit of our children and provide them with the tools and skills to feed themselves and their offspring whilst instilling in them the cultural, racial identity and pride that they are heirs to then I think that we may yet stem the tide rolling across our lands from the east. It is well that one of the Nine Noble Virtues is industriousness as I think that we may yet need it.